I bought a Thorn Nomad that has this fork on it, and find the construction of the long steerer tube and all the mounts for fenders, racks and headlight so perfect that I had to convert my other bike to this fork. Would I be able to use these forks on my Thorn Sterling? For any information or advice on any of Thorns bikes, frames or forks please contact out dedicated Thorn bikes sales team either on 01278 441505 or at sales@thorncycles.co.uk and they'll be able to provide you with all of the information you need. what is the largest disc that you recommend with this fork? The largest would be 180mm. Can I use this with a Nomad built 2001? what discs/rotors would you recommend? 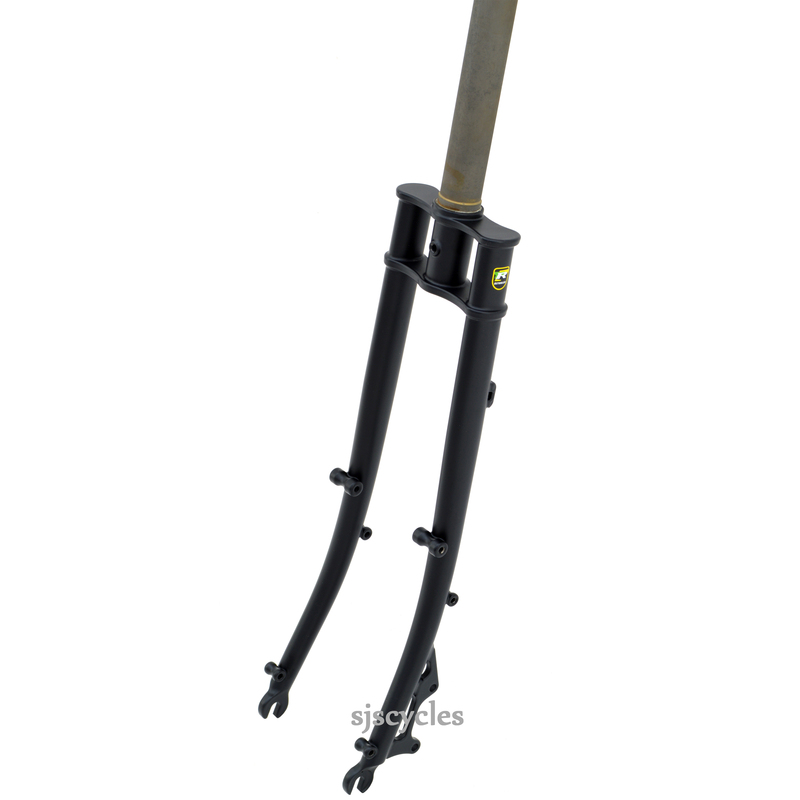 What is the maximum tyre size with a 650B or 27 build with these forks, both with and without fenders? This fork should take a maximum of 650b x 2.25", be aware some tyre / rim combinations will create a larger tyre than stated. This fork weighs 1375grams and it has a 390mm steerer tube. The steerer tube itself weighs 1gram per 1mm.